There are two hamlets of Woolsthorpe near Grantham, one to the west and one six miles to the south. Isaac Newton (1642-1727) was born on Christmas day 1642 in the southerly one, next to Colsterworth, sometimes called Woolsthorpe-by-Colsterworth. His birthplace, Woolsthorpe Manor, is a National Trust property. The kitchen has some graffiti thought to be due to the young Newton. He retired here during the Great Plague in 1665-1666 and formulated most of his greatest discoveries here. Newton carved a sundial on the wall of Colsterworth Church. I saw the apple tree in 1814 and brought away a portion of one of its roots. The tree was so much decayed that it was taken down in 1820, and the wood of it carefully preserved by Mr Turnor of Stoke Rocheford. Voltaire's Letters Concerning the English Nation first published the story of Newton and the apple in 1733. Voltaire said he had the story from Catherine Barton Conduitt, Newton's step-niece and housekeeper. The King's School, Grantham, has a bit of wood on which Newton carved his name while a school boy. The schoolroom in which Newton learned is the present (1927) school's assembly hall. There is a statue in the town, on St Peter's Hill. There are some Newton relics in the Grantham Museum, St Peter's Hill. 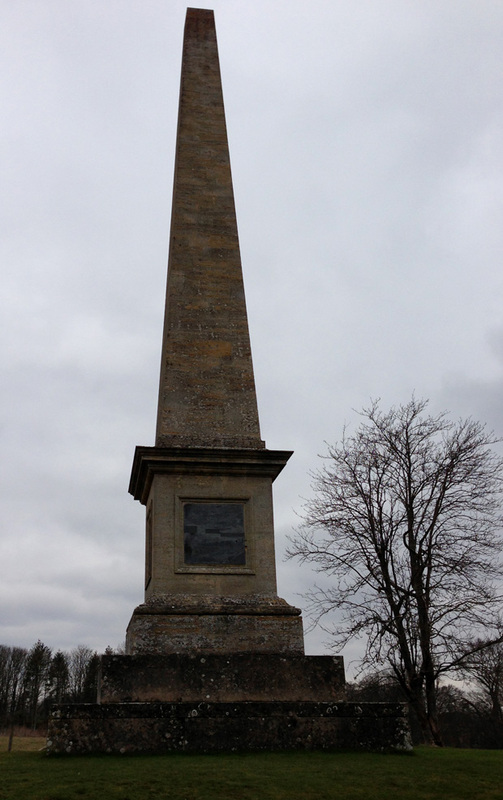 There is a memorial obelisk in the grounds of Stoke Rochford Hall in nearby Stoke Rochford, near one of Newton's first schools, believed to have been in Skillington Church. An Isaac Newton Shopping Centre is conspicuous from the train!